What is WPBakery Page Builder Shortcode? Go to Pages > Add New to add a blank page. If you don't see the Backend / Frontend Editor, please make sure you have installed and activated WP Bakery Page Builder plugin. Simply open your page and find the section/element you want to edit. Let's take a look at the structure of the pages. Row Layout: Defines the column number. Row Settings: Includes spacing, backgrounds, stretch options, animations, etc. Column Settings: Includes advanced parallax, text-align, animations, spacing, background etc. 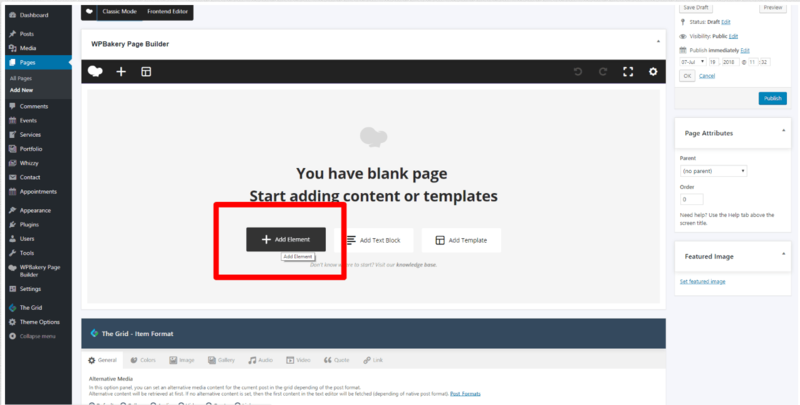 Here you could find all the detailed instruction about WPBakery Page Builder plugin.